Mischell Kelley CoeLPC, LCDC-S, M.A. 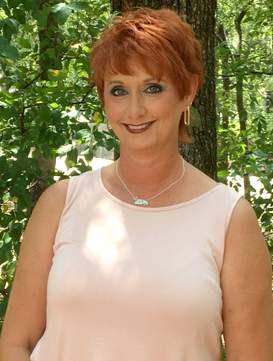 Mischell Kelley Coe is licensed as both Licensed Professional Counselor and a Licensed Chemical Dependency Counselor and LCDC Supervisor. She works with adults, couples, families and adolescents ages 12 and up. Mischell is a passionate and dedicated counselor who believes in the resiliency of the human spirit and its ability to work through and overcome extreme obstacles. Mischell works with many different treatment modalities with one specific thought always in mind: the client comes first and must be treated with unconditional positive regard. Her work is compassionate, collaborative and solution focused. Her core foundation of treatment is to meet the client where they are and develop a customized plan to assist them in meeting their personal goals. She has experience working with developmental and intellectual disabilities, dual diagnosis, co-occurring disorders, depression, anxiety, crisis intervention, severe mental illness, addiction, couples, family counseling, grief and anger management and adolescent counseling. Mischell has extensive training and practice with co-occuring psychiatric and substance use disorders and is certified in the Comprehensive Management and Assessment of Suicidality or (CAMS). She has a long history with Special Olympics Texas and has worked as a certified therapeutic horseback riding instructor.